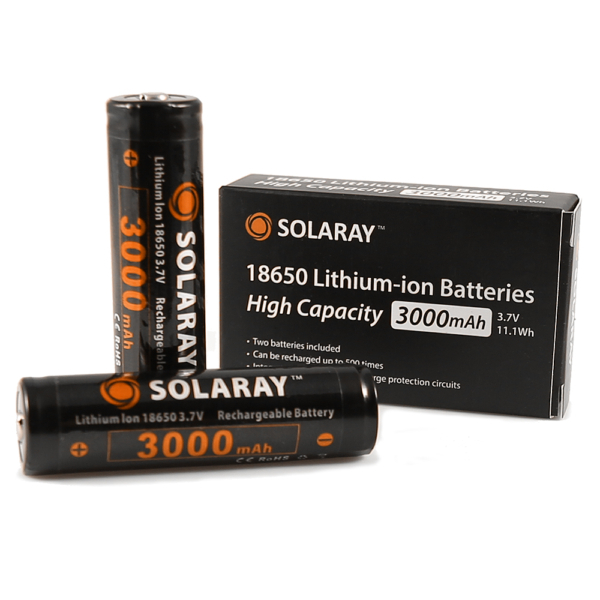 Solaray 18650 rechargeable lithium-ion batteries are ideal for use in medium and large flashlights as well as other devices. 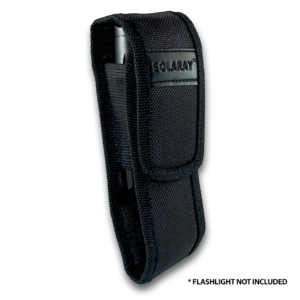 The 18650 rechargeable lithium-ion battery is ideal for use in medium and large flashlights as well as other devices. These batteries come with a Protection Circuit Board (PCB). This limits the amount of energy the battery can absorb and release. It also helps to prevent battery from being overcharged or short circuiting while in use. 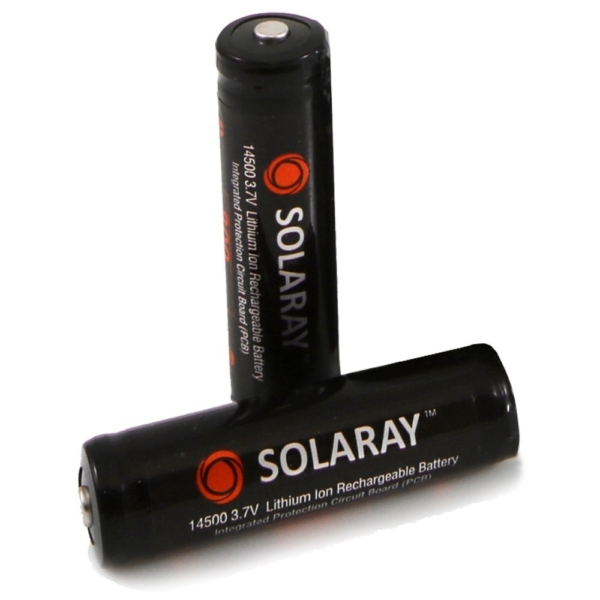 It holds more energy yet weighs less compared to other batteries. This means that you can get more use out of a single charge cycle while not adding to the weight of your device. Do not use together with e-cigarettes. An explosion or fire can occur as a result of overheating. In addition, they should not be used as a replacement for other battery types. Please read the relevant documentation for your device prior to using them. It has a normal capacity of 3,000 mAh and a minimum capacity of 2,200 mAh. The normal voltage is almost 3.7 volts with a cutoff voltage of 2.5 volts. The internal impedance is less than or equal to 180 milli-Ohms. It can hold almost 90% of its original charge after 400 cycles. The total cycle life is almost 500 full recharge cycles. It has a charge current of 0.5C (~1500mA) Voltage which equals 4.2 V End Current or 0.01 mA. It has a discharge current of 0.5C (~1500mA) End Voltage or 3.0V. 2 x 18650 3,000mAh Rechargeable Lithium-ion Batteries. So don’t delay. Click “Add to Cart” to buy today. 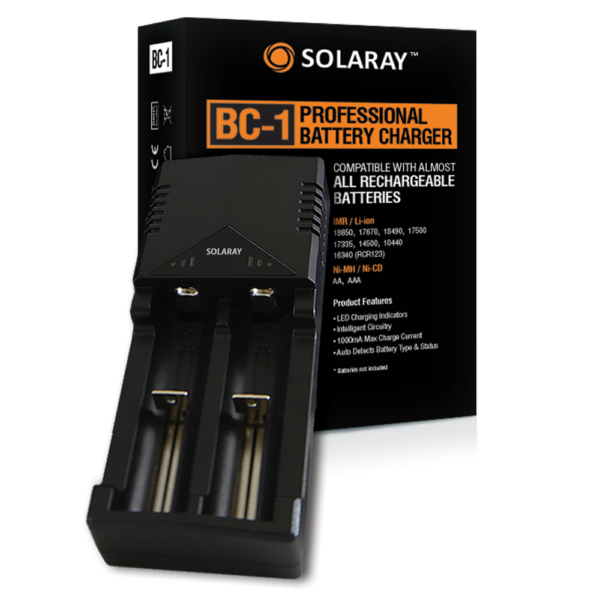 Add a BC-1 Battery Charger to take advantage of our free shipping on orders $25 and more.